Opera of frozen life is a video-requiem based on a libretto written for a mortuary chapel in Porto, Portugal. The mourning is the subject and theme of the libretto; its increasing loss of function in Western society taken as a metaphor to comment the absurd reading of death as taboo. 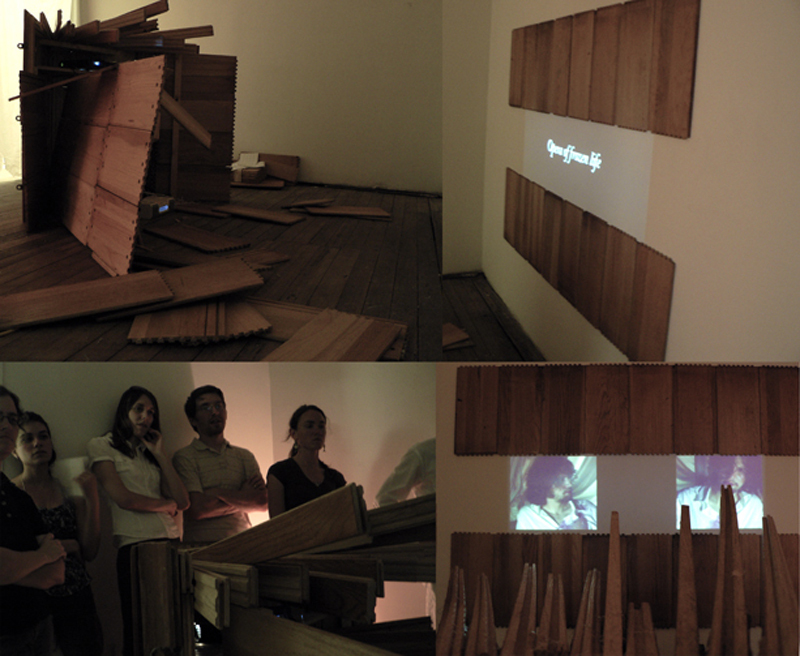 The project premiered at SemiGloss10 (Cincinnati, Ohio) and results from an intricate collaboration with local artists. Either artist co-author it by means of an video-exquisite-corpse strategy. Despite the freedom to reinterpret visually the libretto, the text of the libretto should be kept as close to the original as possible. None of the actors, however, speaks Portuguese, adding an interesting layer to the video - that of breaking the language. The complex semiotic exchange and the lost function of the equation form/meaning in language seeks to mirror the “death of the meaning”. Opera of frozen life - portuguese subtitles from Andre Alves on Vimeo.